One of the memories of my youth. Never forgotten about it. Some people, now so-called grown-ups, seeing the series again commented to me that they would not have fallen for it today. And then we were watching some scene that, of course, looks a little bit like that it is not real. I on the other hand figure that they are missing the point. I probably am very aware of the painstaking work that was put into series as this. I can enjoy it today as much as I did as a child, although with somewhat different eyes and realizations. I was too young to see the first run on television, but I did see the re-runs. 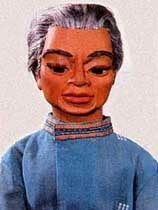 Thunderbirds was a TV series produced by Gerry Anderson that originally ran on British television from 30 september 1965 to 25 december 1966. Produced were 32 episodes lasting 50 min. each and 2 feature films, ‘Thunderbirds Are Go’ (released 12 december 1966 - poster) & ‘Thunderbird 6’ (released 29 july 1968 - poster). In the year 2065, Jeff Tracy (on the left), then a lunar astronaut gives up his space carreer to take care of his five sons after the passing away of his wife. His great skill as a construction engineer has made him one of the richest men in the world. He finds that he must use this fortune to benefit others. His answer is to create International Rescue, a unique private emergency response service equipped with customed designed vehicles and equipment that enable the organization to react to any crisis whether it be in sea, air, land, or space. Jeff's sons volunteer to operate as the field agents. 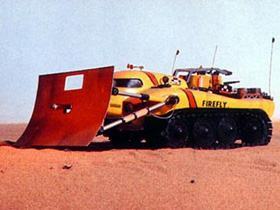 All his time is dedicated to the service of International Rescue. 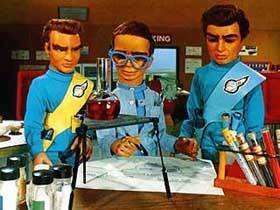 This he establishes with the help of ‘Brains’ (on the right in the middle), whom he discovered when he scoured the world to find a scientist who could realise the project of the Thunderbird machines. Brains is a rather nervous but brilliant scientist whose idea of a relaxing break is the study of Trigonometry and Thermodynamics…..He's also known as Hiram Hackenbacker…but no one knows his true identity. Jeff's friend, Kyrano and his niece Tin Tin agree to be the support staff. 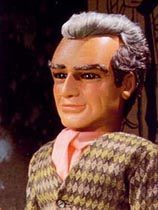 International Rescue also maintains an intelligence network with Lady Penelope and her ex-con chauffeur, Parker as the chief agents in this arm. The series depicts this team as they answer various calls for help around and beyond the world while they prevent enemies like the Hood from learning and exploiting their secrets. 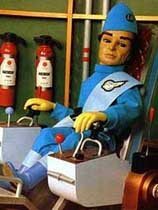 Boasting an amazing top speed of 15,000 miles per hour, Thunderbird 1's task is to be first on the scene of an incident, allowing pilot Scott Tracy to quickly relay vital information to the rest of the team. As pilot of Thunderbird 1, Yale and Oxford educated Scott is always first on the scene of an incident, ready to assess the situation and set up a local command control. Sash color: pale blue. This gigantic transporter aircraft has a maximum speed of 5,000 miles per hour. Its purpose is to deliver specialized equipment to the scene of a disaster. 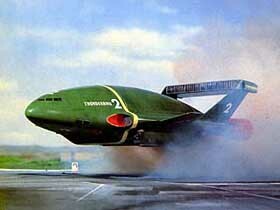 Expert pianist Virgil pilots Thunderbird 2, delivering the heavy equipment needed to tackle any emergency. Sash color: pale yellow. 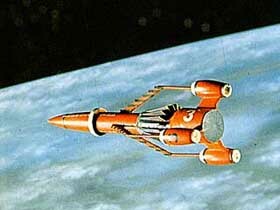 Alan Tracy pilots Thunderbird 3 to tackle rescues in space and also to service Thunderbird 5. 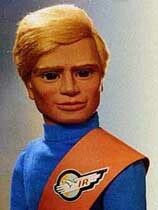 Youngest of the Tracy brothers, Alan is the astronaut with primary responsibility for Thunderbird 3. 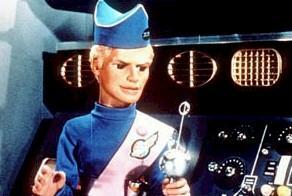 He also shares duty on Thunderbird 5. Sash color: off-white. 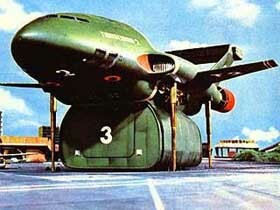 This one man submarine is carried in Thunderbird 2's Pod 4. With Gordon Tracy at the helm, it is deployed directly into the ocean to perform underwater rescue missions. Former World Aquanaut Security Patrol member Gordon is the joker of the family. 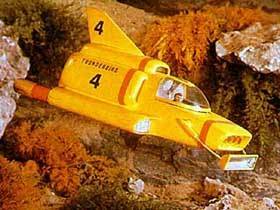 As a past Olympic swimming champion, he is ideally suited to commanding Thunderbird 4. Sash color: orange. 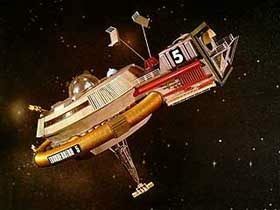 Thunderbird 5 is the key to International Rescue's communications. On board, John Tracy is often first to alert the island base of an impending disaster. 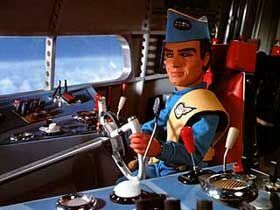 An accomplished astronomer, John spends much of his time as space monitor aboard Thunderbird 5. Sash color: lilac. 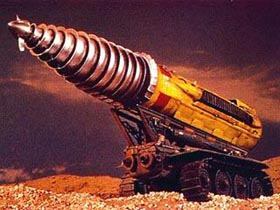 Carried in a pod aboard Thunderbird 2, the Mole is used to tunnel underground to assist in subterranean rescue missions. 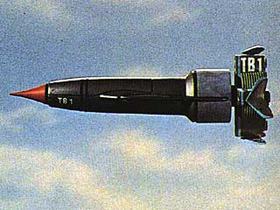 Firefirghting equipment carried in Thunderbird 2. 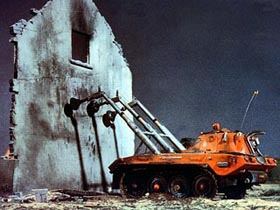 The Domo is seen here supporting a collapsing wall while Virgil tunnels into the basement in the Mole. Arch-villain of the world, the Hood operates from a strange temple deep in the Malaysian jungle. 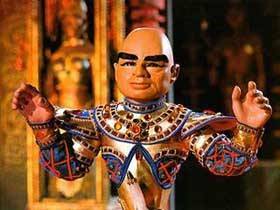 From there he plots to steal the secrets of the Thunderbirds. Faithful friend and manservant to Jeff Tracy, Kyrano is coincidentally half-brother to the Hood, who wields an uncanny and unnatural power over him. Daughter of Kyrano, Tin Tin joined International Rescue after completing her education in Europe. 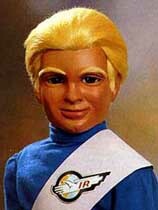 Alan Tracy is never far from her side, except when he's in space. 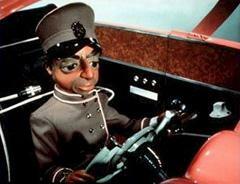 Aloysius Parker was recruited by Lady Penelope as her assistant, butler and chauffeur. He also made a slight career change. 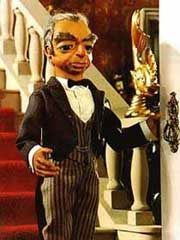 Previously a singularly skilled safe-cracker (known in the underworld as ‘Nosey’), his skills are now entirely at the service of Lady Penelope's noble espionage activities. 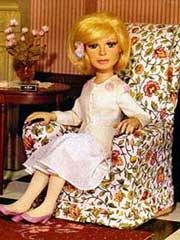 British agent for International Rescue, Lady Penelope operates from her stately home in England. 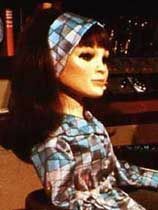 Though she was the daughter of Sir Hugh Creighton-Ward and destined for a life of sophisticated leisure, she opted instead for the career of Secret Agent and soon became a central figure in the daring escapades of International Rescue. 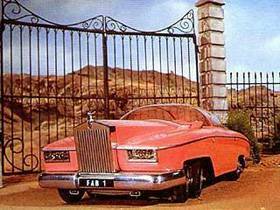 Beneath the gleaming bodywork of Lady Penelope's pink Rolls-Royce lies a car loaded with high-tech gadgets and weaponry. With Parker at the wheel, there's no escape!